ARIES – Drive carefully especially at the crossings. Improvement in finances will make it convenient for you to pay your long-standing dues and bills. Express your ambitions to elderly persons who will try their best to help you. You will be in sync with the heartbeats of your partner today. Yes, it’s the sign that you are in love! New partnership would be promising today. A sparkling laughter filled day when most things proceed-as you desire. You will have a series of quarrels that will make you feel like giving up your relationship. However, do not give in that easily. TAURUS – Your mind will be receptive to the good things. Do not overspend on entertainment and luxuries. Your spendthrift nature will be criticized by the family. You must save the money for future otherwise it would land you in trouble. Romance will cloud your mind as you meet your sweetheart. You will definitely meet people today- who would help you in your career. Choose your words with care when interacting with important people. People around you might do something that will make your life-partner fall for you again. GEMINI – Start your day with a little exercise- It’s time you start feeling good about yourself- Make it a regular feature everyday and try to stick to it. You will make substantial gains if you invest on long-term basis. Spending time with family members would be enjoyable. Have you ever smelled chocolate with ginger and roses? Your love life is going to taste like that today. New ventures will be alluring and promise good returns. Resist associating with people that will harm your reputation. It is going to be your wonderful day with your spouse..
CANCER – You will have enough time to yourself today so, go out for a long walk for the sake of your good health. Use your innovative idea to make some extra money. Younger brother or sister may seek your advice. Some difference may crop up with your darling-You will have difficulty trying to make your mate understand your position. You should be able to handle things without any problems and immerge a clear winner today. Secret enemies will be eager to spread rumors about you. A tiff is possible today due to relatives, but at the end of the day everything will be resolved beautifully. LEO – Money position and financial problems are however a source of tension. Monetary gains will be from various sources. Be cautious of friends and strangers alike. You will be highly sensitive to remarks made by your lover-You need to control your emotions and avoid doing anything that could worsen the situation. Business contacts that you have developed recently will benefit in the long run. Travel-entertainment and socializing would be on your agenda today. You might fight with your spouse today out of your own stress and actually of no reason. VIRGO – Try to improve your health and overall personality for a better life. Your expenses might over exceed your budget bringing many ongoing projects to an abrupt halt. You will be torn in many different directions if you try to take care of everyone’s demands. Your beloved will seek commitment. You will get good chance to display your talents. Travel undertaken for business purpose will prove to be beneficial in the long run. You are going to feel lucky today for being married. LIBRA – Take assistance of a friend to tackle your problem. There is no use of forgetting and fuming over past as you will not get anything but draining your mental and physical energy. Financial problems ruin your ability to think constructively. Keep appropriate distance from over friendly strangers. Today, you will know that your love partner is the one who will love you till eternity. If you take stress at work, it won’t cause harm to anyone else but you. Secondhand news should be verified. After many ups and downs in your married life, today is the golden day to cherish your love for each other. SCORPIO – Your fondest dream will materialize. But keep your excitement under control as too much happiness may cause some problems. Do not invest in joint ventures and dubious financial schemes. Friend would be helpful and highly supportive. Romance will suffer today because of the bad health of your spouse. Fresh problems will surface for you at workplace-especially if you don’t handle things diplomatically. A day for cautious moves- when your mind would be needed more than your heart. Relatives might become a reason of argument with your spouse today. 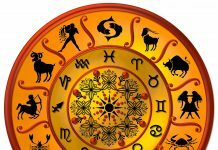 SAGITTARIUS – Health will remain fine despite a busy schedule but don’t take your life for granted realize that the care for life is the real vow. Your dedication and hard work will get noticed and will bring some financial rewards for you today. You will be in the mood to celebrate and will enjoy spending money on family members and friends. Don’t waste your time in one-sided affair. You might see an advancement in your work today. A spiritual leader or an elder provides guidance. Troubles are a part of life. Today, your married life might become a victim. CAPRICORN – Health wise this period will be dull therefore be careful of what you consume. Don’t make investments in haste-Losses are certain if you don’t look at investments from all possible angles. Friends might try to mislead you. It is not the right time to share your personal feelings/secrets with your beloved. Adapt to new techniques to increase your work efficiency-Your style and unique ways of doing things will interest people who are watching you closely. Travel-entertainment and socializing would be on your agenda today. Some of your works might get hampered today due to the disturbed health of your spouse. 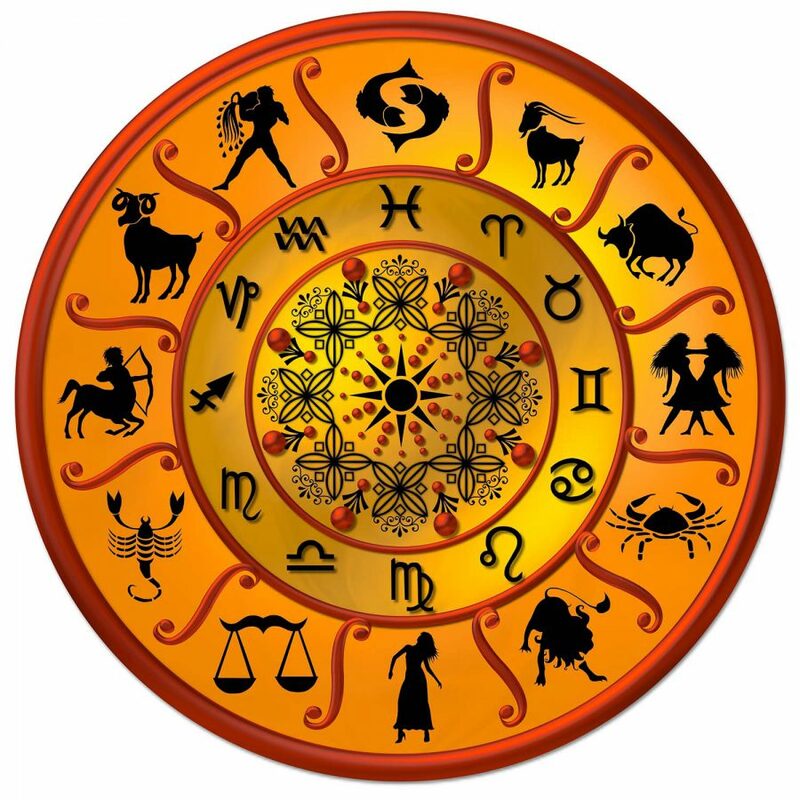 AQUARIUS – Use smile therapy to cure your prolong illness as it is the best antidote for all problems. Financial gains-which were expected today-get delayed. Family members will be upset with you because of your reckless behavior. Love life will be vibrant. New partnership would be promising today. If travelling makes sure you carry all-important documents. You might fall in love with your spouse again today because he/she deserves it. PISCES – Do not neglect your health especially avoid liquor. Money position improves as delayed payments are recovered. Get everybody to your big party-You’ll have that extra bit of energy today which will make you organize events for your group. Eyes never lie, and your partner’s eyes will tell you something really special today. You will be honored for some of your good deeds today at work. Take care of your action and words as authority figure will be less understanding if you do something deceitful. Things might come into your favor amazingly when it comes on your married life.